CORTLAND, N.Y. — More than 300 firefighters from 31 departments are registered for the annual Firefighter Winter Games to be held this weekend in Cortland. 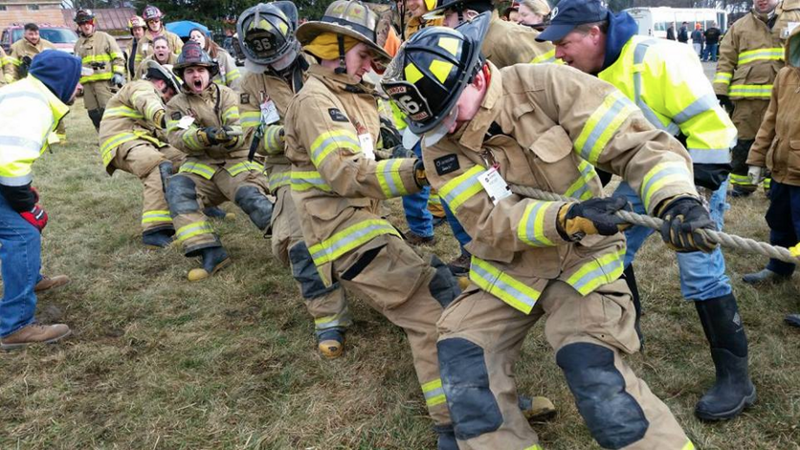 “And more teams are expected to register,” said Jennifer Gundersen, of the Fireman’s Association of the State of New York. FASNY is co-sponsoring the games with the Cortland County Fireman’s Association. Registration is held on Friday and the games kick off on Saturday and continue Sunday. The events feature fierce competition and camaraderie among the different departments. The games, which will be held at Greek Peak Adventure Park and Tubing Center, include a sled pull, tube racing, tug of war, hose relay and more. Every year, the winner of each event is honored in The Volunteer Firefighter magazine. All participants in the Winter Games receive medals and the top three teams in each event receive trophies. Friday: 5 to 8 p.m.: Registration at Country Inn and Suites, 3707 NYS Route 281, Cortland. Additional activities to be announced before or at the time of the games. Chenango Bridge Fire Company, Inc.
Coventry Volunteer Fire Company, Inc.
Hampton Bays Fire Company, Inc.
Neptune Hose Company No. 1, Inc. Port Crane Fire Company, Inc.
For more information on the games, visit fasny.com.